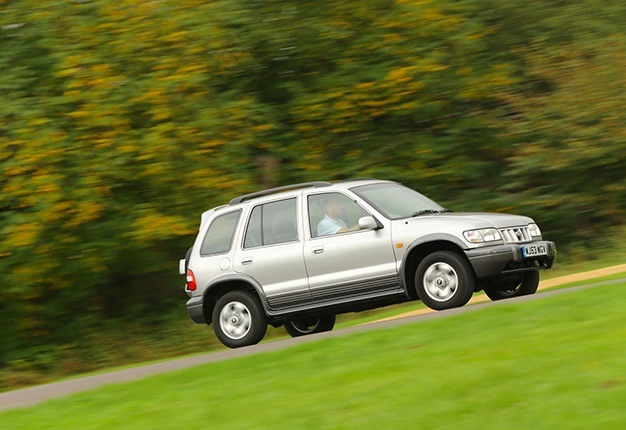 "Some fascinating engine deals and the start of Korea’s African invasion," Lance Branquinho takes a look at a few popular SUVs of the 1990s. You’d suspect we’d volunteer Toyota’s Land Cruiser 80-Series as the brand’s 1990s SUV icon, but there was a locally developed 4x4 wagon which was even more influential than the legendary ‘Cruiser during this decade. The Condor was an inexpensive family wagon buoyed by a 4x4 drivetrain, which although it didn’t have low-range, was capable enough to get a great many South African families where they wished to be, chasing adventure. 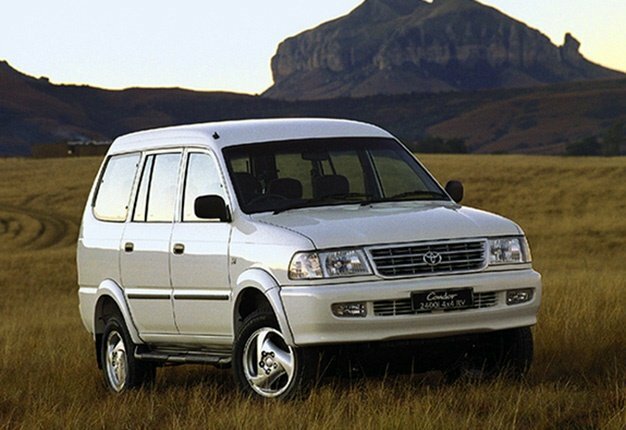 A precursor of the eventual success which would befall Toyota a few years later with Fortuner, the Condor is still sought after as a robust rural transport solution. Madly reliable too, as you’d expect from a Toyota. Powered by either a naturally-aspirated 2.4-litre petrol 3-litre diesel engine, both of which provided sedate performance, but also enormous mileages before requiring service items. During the 1990s corporate merger mania generated some very curious joint-ventures in the automotive realm. A happier chapter amongst these concerned the short-lived ownership of Land Rover by BMW. Engineers at BMW South Africa’s Rosslyn plant wondered how they could contribute to the combined British/German corporate entity that included Land Rover and suggested a ridiculous product development idea. 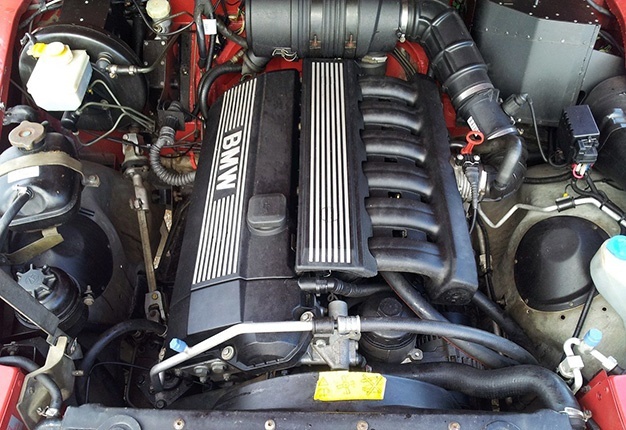 As Land Rover was decommissioning its petrol-powered V8 Defenders in most global markets, BMW South Africa did the unthinkable and built a range of Defenders powered by one of the most iconic engines of all time: the 2.8-litre M52 in-line six. These BMW powered Defenders have become legendary for their sound signature, stellar off-road agility and high-speed cruising ability. The BMW engine’s linear power curve also cured one of Defender’s off-road weaknesses: dune driving. Although the BMW and Rover corporate marriage ended in divorce, the Defender 2.8 remains a great symbol of its potential. It’s 142kW power peak made these BMW powered Land Rovers the most potent Defenders of all time until the 5-litre supercharged V8 Works edition vehicles were revealed earlier this year. In the 1990s Isuzu refined the bakkie-based SUV concept Nissan had established with Sani. That product was the Frontier, a five-door wagon evolved from the KB bakkie. It was successful, but Isuzu eventually discontinued it. The Frontier was not Isuzu’s defining 1990s SUV. That honour is bestowed upon the legendary Trooper. Built on a dedicated SUV platform, the Trooper was smaller than similar SUVs from Toyota or Nissan. That made it a lot more driveable during the weekly urban commute and manoeuvrable in narrow off-road terrain. With a 3.2-litre V6 engine and low-range, it was certainly not short of ability in challenging Kalahari or Namibian dune driving conditions. For those who didn’t require the size or parking inconvenience of a Land Cruiser or Nissan Patrol, Isuzu’s Trooper was the thinking man’s alternative Japanese SUV. Celebrated for its boxy styling, immense off-road ability and the XJ-series Cherokee was also curiously reliable, for a Jeep. A tribute to the fundamental correctness of its design was illustrated by the XJ’s longevity: it remained in production from the early 1980s through to the 2000s. The best XJs were those built in the late 1990s, after the Chrysler merger with Mercedes-Benz. 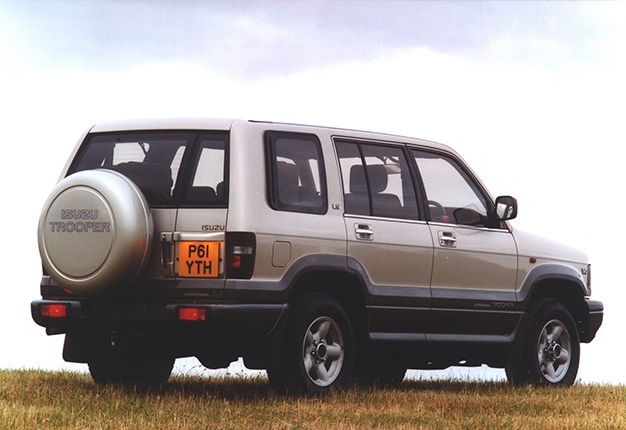 The derivative which made XJ the most favoured South African Jeep of the 1990s was the 2.5 turbodiesel, powered by an Italian VN Motori engine. 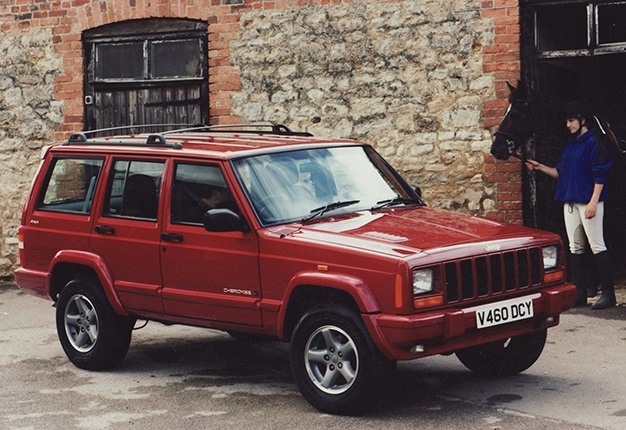 Boosting 85kW and 300Nm, it made Cherokee one of the most capable true off-road SUVs of the 1990s. It’s unimaginable today, but there was a time when driving a Korean car was interpreted as a life-project failure by South Africans. In the 1990s, when the first Korean vehicles arrived on our shores, the resistance to them was enormous. The designs were awful and quality not much better. Affordable pricing and generous equipment levels were the Korean conquest marketing strategy. And then Kia’s Sportage happened, a rugged compact SUV which was vastly different from the stylish crossover we know today. Back in the 1990s, it was a joint-venture development of the Mazda Bongo and marketed as a true off-roader: with low-range gearing and a limited-slip differential activating on the rear axle in slippery conditions. For those South Africans willing to gamble on an alternative off-road brand, the Sportage was a fantastic value offering. The ability of these Korean SUVs to tour far and wide, did much to establish the credibility of Korean vehicles in the collective regard of South African motorists.